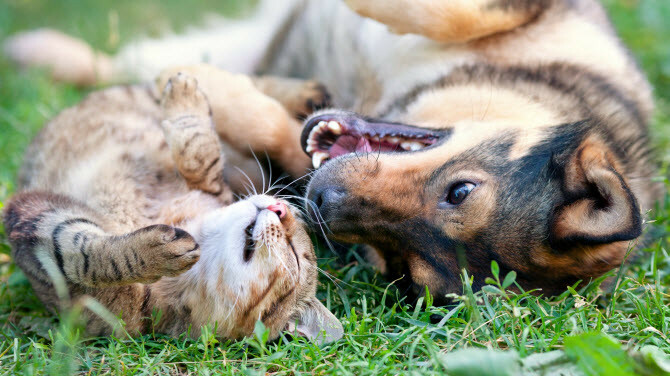 Aside from the pet services, Loving Care also offers pet advice to keep your furry friends healthy and happy. Loving Care Kennels and Grooming is much more than just a pet groomer or pet sitter. It's also our job to help educate our clients with information that's important to their pets’ well-being. That's why we urge our visitors to like us on Facebook. Whenever there's a pet recall the information is posted ASAP. For now though, here are a few things every dog and cat owner should know so their pets lead healthy and happy lives. Some animals really dislike having their ears touched. However, it's important to check the area for problems. First, you should never use a cotton swab in the ear. It's best to use an ear cleaning solution you can find at your local veterinarian’s office. While you may see some residue (that's only natural) lookout for dark, almost black looking earwax because it can be a sign of ear mites, which requires a veterinarian's care and advice. As with ears, sometimes pets hate having their feet touched, but it’s necessary. Pads are sensitive so look for any cuts, debris, cracks or chaffing. Moisturizing is important, but use pet moisturizers and avoid human moisturizer since it can soften them too much and injure your pet. Also, be mindful of the seasons. If a walk on hot pavement would burn your bare feet, it's just as painful for your dog. Look out for lawn fertilizers too. Likewise, winter can be dangerous too. It could mean chemical burns from ice melters or frostbite in temps of 32 degrees and below if you’re not careful. How many times have you thought of giving man’s best friend a beer like your buddies? Think again. Beer is toxic. Another big no-no food you might be compelled to share is chocolate. Other ‘toxic to pet’ items include garlic, onions, avocados, grapes and unbaked dough (because of the yeast ingredient). Also, while not ‘toxic’, it’s best to avoid feeding your pets bones because they can splinter and do serious internal damage. Likewise, milk won’t kill your animal, but it can cause serious gastral distress. If you’d like to learn more about keeping your pet happy and healthy make sure to like us on Facebook for the latest in pet news.